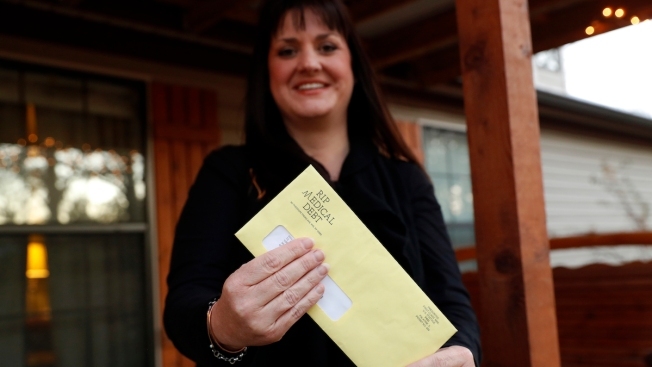 Reagen Adair holds on to a RIP Medical Debt yellow envelope as she poses for a photo at her home in Murchison, Texas, Thursday, Dec. 20, 2018. A pair of retired debt collectors are now using their expertise to buy millions of dollars in past-due medical debt for pennies on the dollar. But instead of hounding people to pay, they send letters saying the debt is gone. 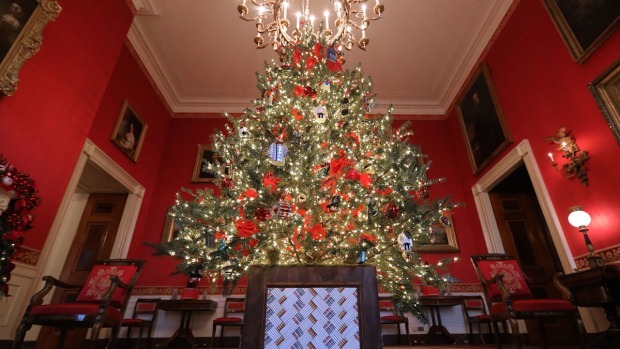 A Wisconsin Christmas tree farm is participating in "Trees For Troops," a national organization that donates Christmas trees to servicemembers. Former President Barack Obama was Santa Claus for a day, surprising staff and patients at the Children's National hospital with a red cap and a big red sack. Jimmy Fallon reunites with Horatio Sanz, Chris Kattan and Tracy Morgan to perform their SNL holiday classic, "I Wish It Was Christmas Today," with special guest Ariana Grande.